January, with its cold weather, lack of sunshine, and bouts of cabin fever—has never been my favorite month (although the start up of Downton Abbey did make up for a lot of its short-comings). But other than the weather, its been pretty sweet. At the beginning of the month, I decided to make some short-term, doable Goals —they weren’t lofty or pie in the sky —just things that we wanted to work on. I had them in a place where I could see them daily, and Jeremy and I revisited them often (we made some family goals as well). Since they weren't really weighty, big things, it was fun to not feel like a total failure come mid-January and throw them all out the window in defeat. I really loved it. So, here’s how I did. I DID read a book… but it was parenting one. I bought “Loving the Little Years” when Jacob was tiny but didn’t really feel like I related to a lot of what she was saying—but NOW, it couldn't me more applicable. I picked it up on a whim, laughed and cried 3 pages in and couldn’t put it down. It's a shot in the arm for any mama with littles. 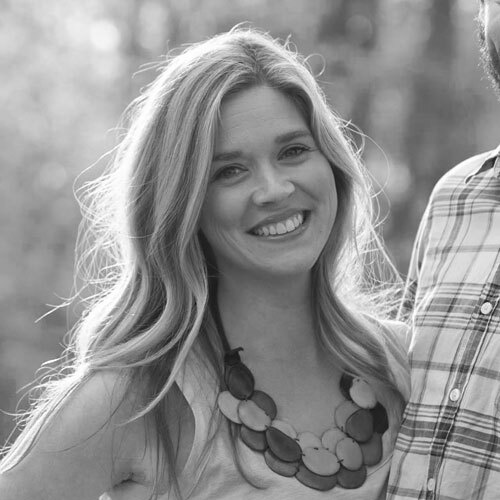 It gave practical, gospel-centered advice, made me laugh a lot, and kind of fired me up about getting to be a mom. A great naptime, quick read. Now, I DID start reading a non-parenting book recommended by my friend, Leslie, called Where’d You Go, Bernadette. Its turning out to be quite the page-turner. I have love loved doing this. I got all fancy with the one below, but usually it was just a notecard on my mirror or cabinet. There were days when I was so “done” and God’s alive and active word redirected my heart and mind towards Him. We need our Daily Bread… All. Day. Long. So however you can get it in, it will not return void! Semi-success. For the first time, we went to the library and Jacob was actually interested in books. (car books, of course.) I know I know, most kids LOVE books and the library, but mine is usually more interested in jumping off the tables and yelling. So, now its our new Monday ritual. Library, then Sonic Ice. Total win. I’ll give myself a B- on this one, but definitely a fave thing for the month. I finally got the courage up to go back to the gym and stand in the back at Zumba class—my new obsession (I used to think it was dumb too, until I went. So. Fun.) We’ve gone on LOTS of walks, even if it was cold, which has really made a difference in my mood and energy. We went out once for My 30th Birthday and had a lovely coffee date one afternoon, but dropped the ball on Mr. Banks. Maybe next month. We didn’t eat AS much grain, but didn't do great in this area. I'm just a lover of grain... so this will take some getting used to. We aren’t trying to cut out grain completely, by the way... I don't think I could do it. So there you have it. I didn't completely bomb. I will say, the short-term, doable goal gig is the way to go. I'm slowly getting over my goal-phobia, and being okay if I don't fully complete or accomplish all the things. At least I'm making some type of forward motion, even if its tiny. Anyone else want to make some goals for February? So far, all I've got is send some cute little Valentines to the fam— big goal, huh? (click here to see the printable ones my friend Christen made me—they are just darling). I'd say if your goal was to eat less grain and you ate a little less grain, than that's a success! That's how big changes are made....one little step at a time :) And I'm totally with you on the water. I've been trying to drink more (I did this month) but just like the grain, I know I could be doing so much better! Are you going to do monthly goals? Love reading all of these goals! It is inspiring me to lay some out for this new month. And the scripture verse, all cute, is so much fun! I just loved this, Lauren! 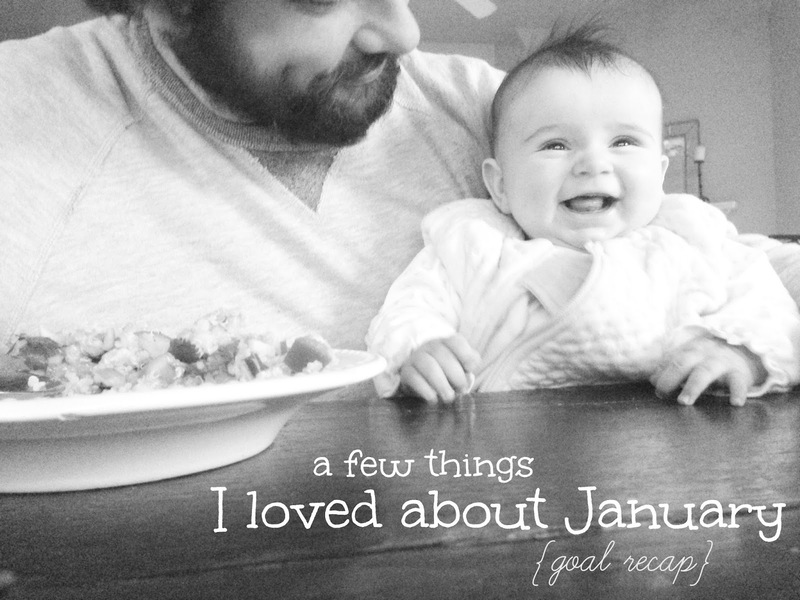 You inspired me to take on monthly goals, too - and I blogged about it! (Your site might be mentioned ;-) ) Thank you for sharing with all of us! I love your blog! Way to make some goals, girl! Love them!